Did you know that every life form is surrounded by an aura? The aura is an etheric cloud-like formation made up of electromagnetic energy which radiates around all living entities. It is an intricate and complex system which provides constant interaction with the universal life force. The inner core of the aura is also known to be where the very essence of our existence originates. The aura represents a chronicle of one’s life. It reveals past-life, present-life and even future information relating to conditions and events still yet to occur. By studying the aura and its functions, we can increase our understanding of ourselves and our capacity to lead more prosperous, healthy and fulfilling lives. The aura is best described as “The Living Color Spectrum.” It contains layers of colors from the rainbow’s seven rays (Red, Orange, Yellow, Green, Blue, Indigo and Violet). The colors found in an aura are just as unique, as the person it surrounds. Colors within the aura are interpreted using color theory methods based on the scientific fact that color is “pure light energy”, and each color has a different frequency. Another scientific fact is, light stimulates the body’s endocrine system, which is also associated with and connected to the Chakra system. The Chakra system contains seven major chakras. The seven major Chakras are, the Root, Sacral Plexus, Solar Plexus, Heart, Throat, Brow or Third Eye, and Crown. There are also minor and secondary chakras within the human body. Chakras are spinning vortex energy centers which are connected to all bodily organs, systems and functions, and are also associated with the seven rainbow colors – like the aura. Although auras are invisible to the eyes of many, it is common for the aura and chakra energies to be visually seen and sensed intuitively by individuals who possess highly sensitive perception and intuitive abilities. In fact, many children have the ability to see auras and sometimes demonstrate this unique gift through artwork. Children who see auras will often draw their human subjects in vivid colors, extending the colors above or around them. Most everyone has had occurrences of sensing another person’s aura by simply feeling a presence near, and then turning to find someone there. And, for those who do not readily see or sense the aura, there are techniques available that can assist in developing aura viewing and sensing skills. Aura viewing is like any other skill, it requires a disciplined practice. As one refines the ability to see or sense the aura, knowledge of its complete system can also be learned in order to properly interpret the colors and attributes relating to the aura. The size, shape and colors of an aura are all unique to each individual. The intensity and location of the colors within the aura provide essential information pertaining to all levels of the physical, mental, emotional and spiritual body. Bio: Pamela Nine is a Professional Intuitive Counselor, Medium, Educator and Writer. She has been in the wellness profession for more than thirty years, and is the Owner of Nine Wellness in Knoxville, TN. 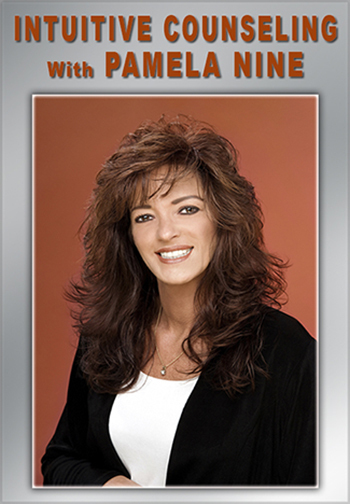 For more information about Pamela, visit: www.pamelanine.com. Article published in Perspectives Magazine, September 2005 Issue. Article: “AURAS: The Living Color Spectrum” Copyright © 2005-2017 Pamela Nine. All Rights Reserved.